As a brain tumor/cancer surgeon and a professor, I have had the privilege to care for patients who were afflicted with brain tumors. Their steadfastness, determination, and optimism serve as inspiration and provide an enhanced perspective of life. You are likely here because you have been diagnosed with a brain tumor or perhaps because you have new neurological symptoms and you are worried. We will focus on the definition, any overall symptoms, and the main tumor types. Tumors usually form due to changes in DNA of cells resulting in cells that grow erratically into a larger mass. Tumors can arise because of genetic predisposition, environmental exposures, or without a clearly identifiable cause. 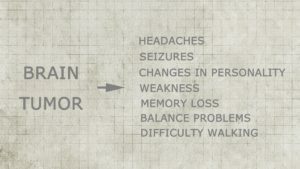 As the tumor grows in the brain, it can affect brain function by pressure and or irritation due to its size. This will then manifest as symptoms suggestive of increased pressure in the brain as a whole or focal pressure based on location. 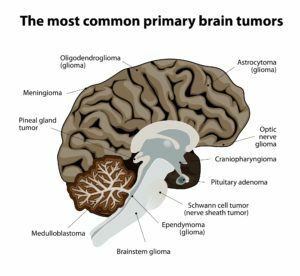 Tumors that arise from cells in the brain are called primary brain tumors, whereas those that arise from outside the brain and travel into the brain are referred to as metastatic brain tumors. Tumors can further be categorized as either benign (less aggressive) or malignant (very aggressive). Irrespective of the tumor type, the brain can still be negatively affected by the pressure from the tumor. Tumors usually form due to changes in the DNA of cells, which results in cells that grow erratically into a larger mass. Tumors can arise because of genetic predisposition, environmental exposures, or without a clear, identifiable cause. As the tumor grows in the brain, it can affect brain function by pressure and or irritation due to its size. This will then manifest as symptoms suggestive of increased pressure in the brain as a whole or focal pressure based on the location. Glioblastoma is the most aggressive primary brain tumor and deserves a lot of emphases since it is the most common primary brain tumor in adults. 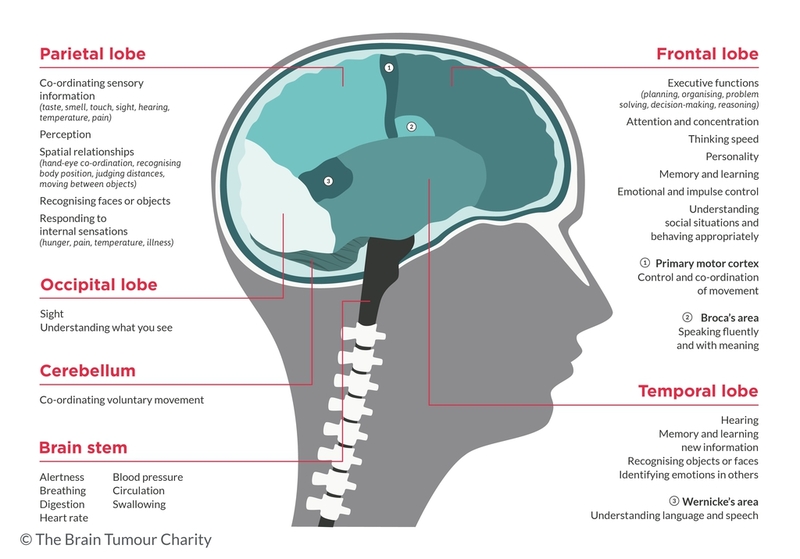 How do doctors know what type of Brain Tumor you have? Once you present your symptoms and they are suspicious for a tumor, your doctor will order a CT (computed tomography) scan or an MRI (magnetic resonance imaging) of your brain. This will determine if there is a tumor and where it is located. Both scans can share a lot of information with your physician. The MRI is known to provide your doctor with more details about your brain compared to a CT scan. 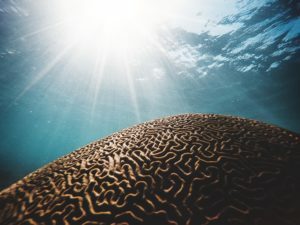 The MRI characteristics coupled with the number of tumors seen can provide clues as to whether the tumor is a primary brain tumor versus a metastatic brain tumor. One could also decipher if the tumor is malignant or benign. Sometimes the MRI can provide clues if the mass is seen actually as an abscess as opposed to a tumor. Ultimately, the diagnosis is attained through a biopsy or actual removal of the tumor followed by an examination of the specimen by a pathologist.